Sociology Professor Douglas Maynard has received many honors in his career but until recently, they never came with a sword. Maynard studies conversations as varied as police interrogations, survey interviews, and casual interactions. His goal: understanding what makes them work well or go awry. An affiliate of the Center for the Demography of Health and Aging and the Waisman Center, he is currently investigating the testing and diagnosis of autism spectrum disorder and end of life conversations in cancer care. In June, the American Academy on Communication in Healthcare presented him with the George L. Engel award for outstanding research contributing to the theory, practice and teaching of effective health care communication and related skills. It’s a notable achievement. But for grandeur, it couldn’t quite compare to the honorary doctorate Maynard received in May as part of graduation at the University of Helsinki in Finland. 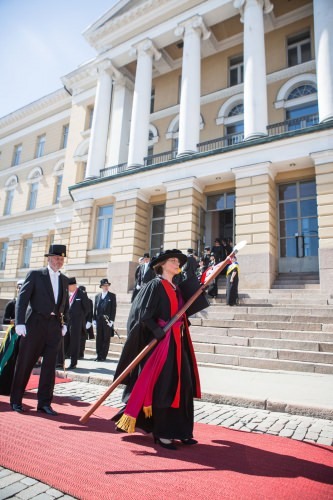 As he and his wife, Joan, learned, the Finns take the recognition of their doctoral and master’s students quite seriously. It is a three-day affair that includes a seaside picnic, a ball, an ecumenical service, and a nocturnal procession through campus to a hilltop observatory, culminating at sunrise. And of course, the presentation of the sword – which signifies the “sharp” quest for knowledge and truth, Maynard says. The sharpness wasn’t merely symbolic. 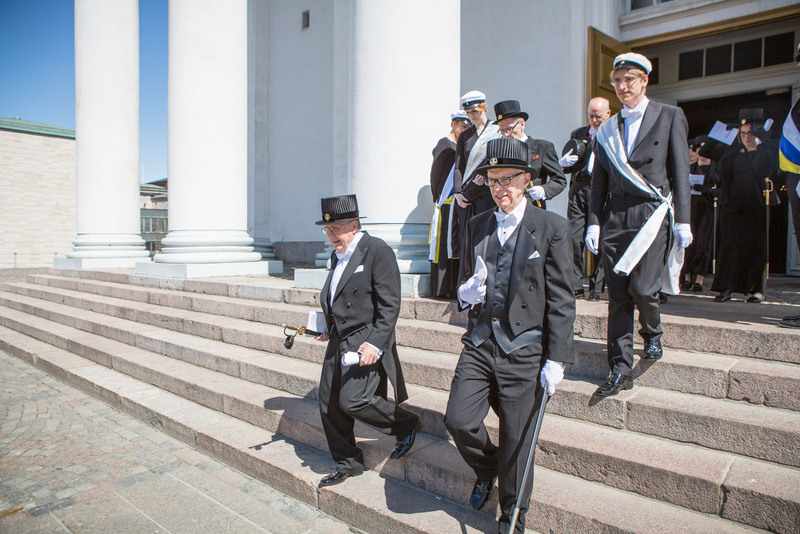 The day before the degrees were conferred, the honorees gathered at Helsinki City Hall for a sword-whetting. 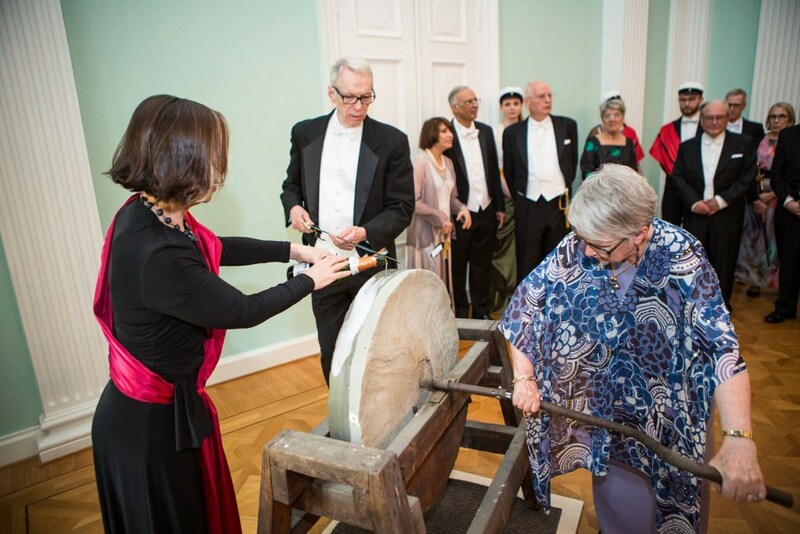 As the whetstone was doused with champagne, Joan Maynard served as the “swordwhetteresse,” turning the stone while her husband held the blade to its edge. 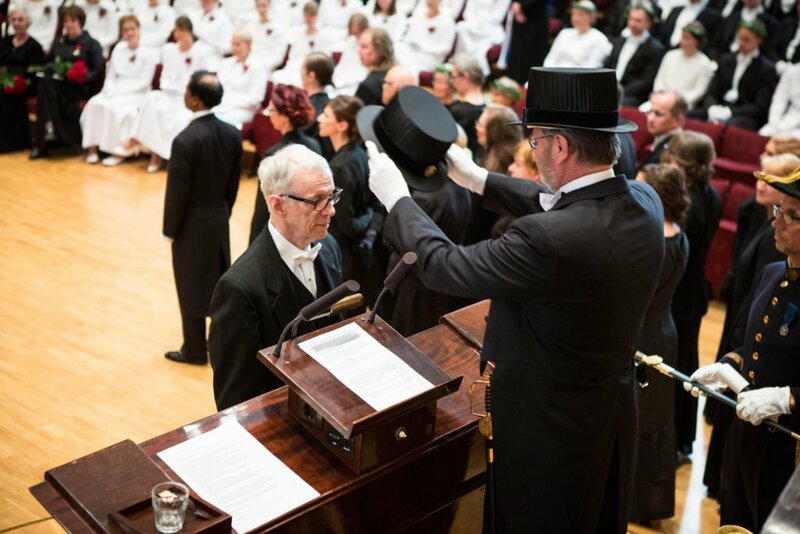 The next morning in the university’s Great Hall, Maynard received his honorary degree as well as a top hat, representing freedom of thought. Degrees in hand and swords on hip (a process admittedly more difficult for the female honorees, who were cautioned that most dress fabrics couldn’t support the weight of the blade), the recipients joined a procession to a cathedral for an ecumenical service. The new Ph.D.s, master’s graduates and honorary doctors gathered for dinner and dancing, both organized and spontaneous. Each group did the polonaise, a Polish dance that dates to the 15th century. After midnight, as some participants headed out on the late-night trek around the city, the Maynards went to get some rest — grateful, Maynard says, to have been part of the experience and impressed by the Finns’ reverence for scholarship and tradition. The celebrating done, there remained the dilemma of how to get the sword home. It clearly couldn’t be carried on and it was too long to fit in a suitcase, so the university is shipping it and the hat to Madison.